Reggae music is no longer confined by race, skin colour or nationality. It always did have a global message, but the culture that it represents has now extended way beyond Jamaica. Alborosie's success is symbolic of this new spirit sweeping the reggae world. The Sicilian born artist, who has spent over a decade living in Jamaica, delivers revolutionary songs with deep, heavy roots rhythms that have become his trademark. He is the complete package - a festival headliner who's written, played and produced a succession of bestselling albums since his 2008 debut ‘Soul Pirate’, and now this latest set ‘Freedom & Fyah’. 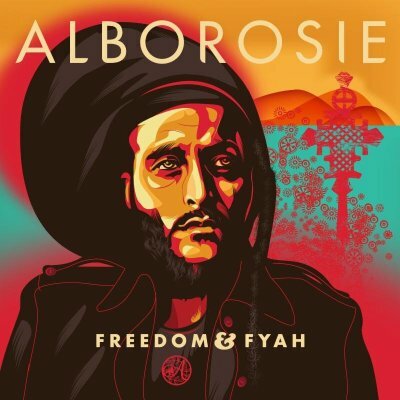 Alborosie explains that the new album has "a very strong dub influence, and with signs of dubstep and electronic music in some of the tracks." Lyrically, he covers similar topics including love, revenge, politics and social commentary. Freedom & Fyah delivers un-compromising Rasta lyrics, on blazing roots tunes ‘Can't Cool’, ‘Judgement’ and ‘Cry’which derides the gunmen who've turned Kingston's inner city communities into killing fields.